Winter is still alive on “The Rock Pile” and I was lucky to meet Ted Carman this weekend (3-26-16). Referred to by some as “The Father of the Harvard Cabin”. 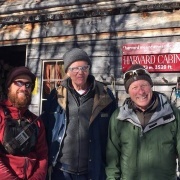 Without Ted the cabin as we know it today would not have happened. He drew up the plans, literally, in his dorm room. Got the required permission, and did the fund-raising. 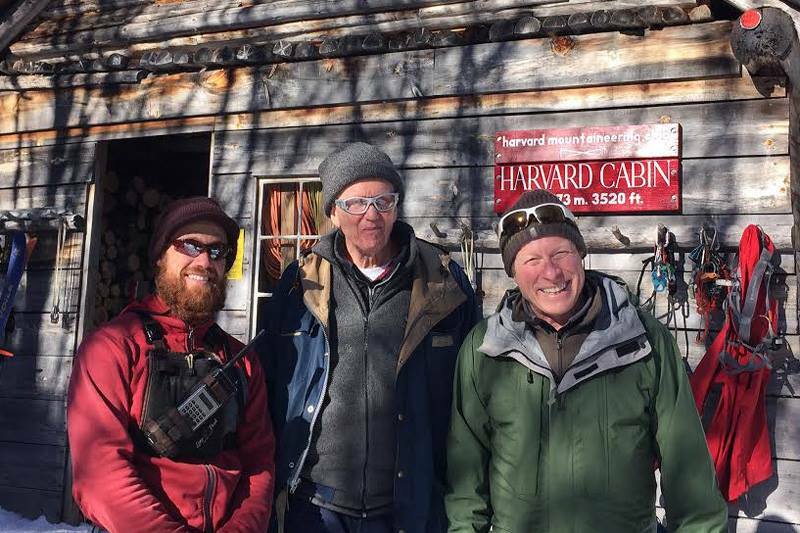 Then Ted went on to recruit volunteer labor to get the supplies up the hill and built the cabin we see today. Thanks Ted, your efforts have been greatly appreciated by many over the years. Click Here for the complete story of how the cabin came to be.